Hello lovelies and welcome to a brand new post! 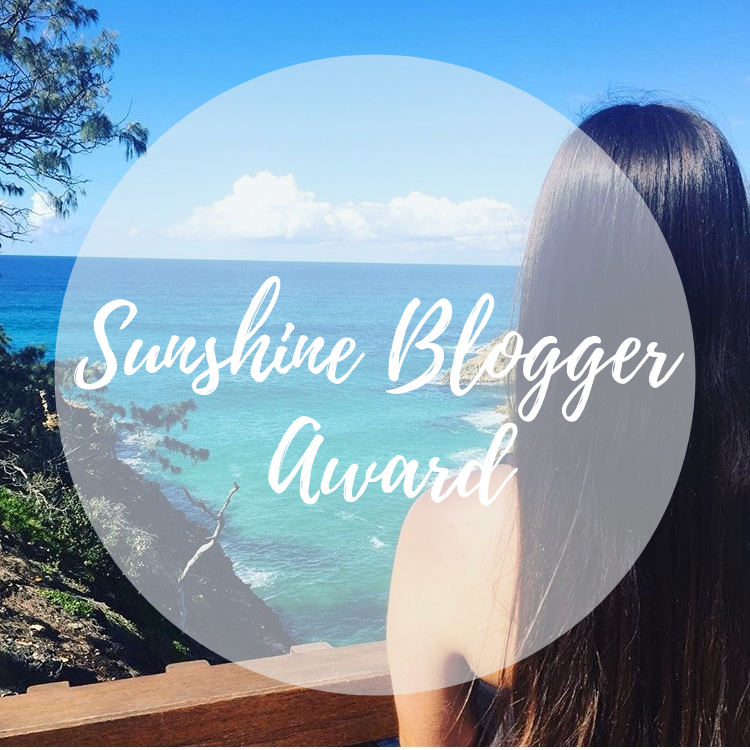 Not too long ago I was nominated for the Sunshine Blogger Award by the lovely Sophie from For a Rainy Day. I remember when I first started blogging and these award posts were very popular, they were a fun way to get to know the person behind the blog better and also a great way to discover new blogs altogether! So thank you, Sophie, for nominating me. I highly recommend you check out her blog where she shares so much positivity! 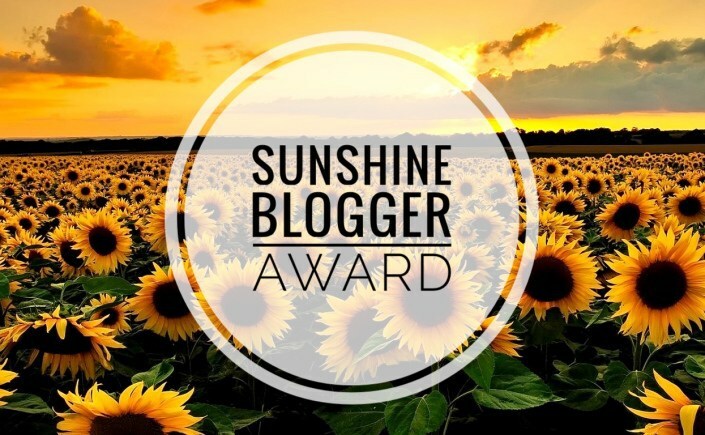 "The Sunshine Blogger award is given by bloggers to bloggers who inspire positivity and creativity in the blogging community." My favourite thing about blogging is the freedom of being creative. I love that I am in control of my content, I can decide what I want to write, how my pictures look and the atmosphere of my blog. I have always enjoyed creating and designing things whether it's a space, product or concept. I also really enjoy engaging with fellow bloggers and readers as it's a lovely community. Okay, so honestly I rarely drink anything except coffee, tea and water. I used to love the Christmas frappuccinos at Starbucks a few years back (especially their mint mocha frappuccino) but I don't drink those types of drinks anymore. So at the moment, I don't have one, but the mint mocha frappuccino was definitely a favourite before! My go-to drink now though is a cappuccino with cinnamon and chocolate sprinkled on top (even though it's not really a seasonal drink). Over the years my favourite posts to write (and read) have changed. When I first started blogging I preferred product reviews. Then I got more into the blogging world and started to get into lots of different post types, mostly in the beauty and lifestyle categories. Currently, (and since forever really) I have always been curious to know what people keep in different places such as their bags, and what people do in their routines. So I actually enjoy posts such as What's in My bag, Morning Routine, Evening Routine, Haircare Routine, Skincare Routine etc. Just have fun with it. I think there are many different reasons as to why people start blogs. Some want it as a career, others enjoy the creativity and then there are plenty of other reasons too! I personally want to make sure it says fun and doesn't feel like a chore, which it honestly has felt like at times in the past. My biggest tip though is to engage with your readers. I know when I leave a comment on someone's post I am far more likely to return to that blog if they reply to their comments! The Polar Express has been my favourite Christmas film for years. The first time I saw it I thought it was borderline scary simply because the animation and graphics are so realistic. I mean the animated characters even have pores! But it's very well-made in my opinion and I quite like the soundtrack too. I don't know what my advice would be, I think if I could sit down and have a great chat with my 16-year-old self I would have so much to say. But my main advice to myself and others, in general, is to think about what's really worth your energy; pick your battles. And it's totally okay to fake it till you make it! When I was around 14 I read a book called Stolen by Lucy Christopher and it's still my favourite book today. It's about a young English girl named Gemma who is kidnapped at an airport in Vietnam by a man named Tye. He takes her to the middle of nowhere in the outback of Australia where he just wants a friend. The story is beautifully written and really captures the Australian bush. My other favourite story is Dark Places by Gillian Flynn, seriously found it hard to put the book down! It depends on what I'm unwinding from. If I'm stressed or anxious I do an intense workout to build up my adrenaline until it just burns out followed by a hot shower. Other times I like to do a nice little pamper routine. 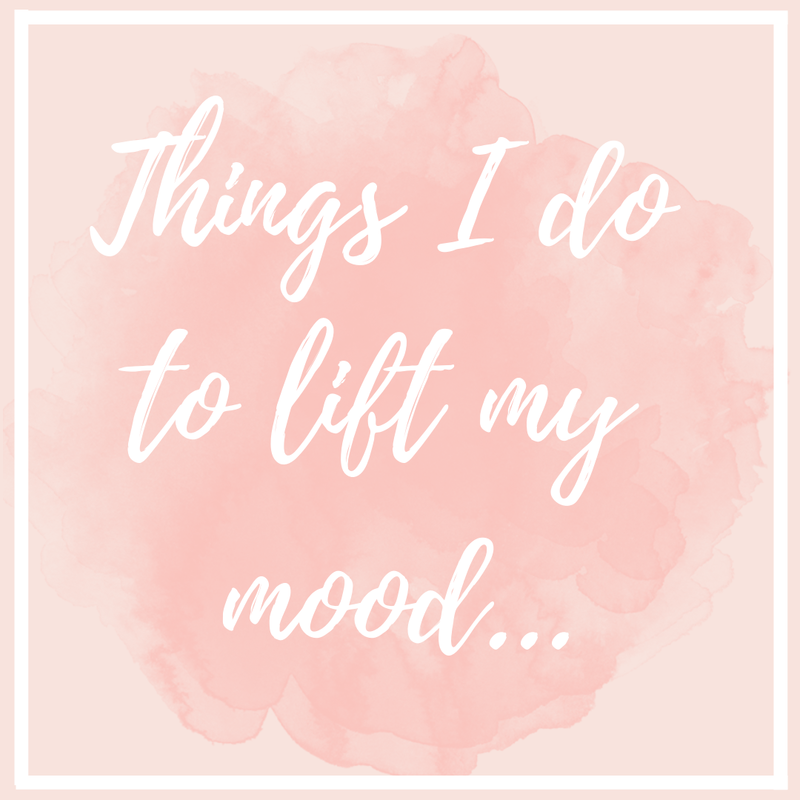 I just recently wrote a post related to this; Things I do to lift my mood. I don't know if I even have an answer for this one haha! Probably just getting into a good skincare routine and making sure everything I use is clean. Or, I'm not sure if this counts but recently I made the decision to pursue skin needling to help with my acne scarring and I am so happy about going through with it! I was really apprehensive about it because it isn't cheap but my skin is a major insecurity of mine. I have moderate acne and unfortunately even though it's not as bad as it was in high school it has left some pretty nasty (pitted) scarring. I feel like I follow all the acne 'rules' and it's exhausting trying to fix it. My forehead is much better acne wise now but the scarring was bad so I chose to do skin needing (I already see a noticeable improvement). My chin still gets hormonal breakouts but my cheeks are super clear. Trying to keep to a regular schedule. Because blogging is a hobby for me and not my job it, unfortunately, is one of the first things to slide off my plate when I have a lot of things to do. For me personally, if I try to keep to a weekly schedule I end up feeling like blogging is a chore and not for fun. So the hardest part about blogging for me is trying to balance enjoyment and keeping on top of it. Ahh, the favourite memory question... I never know what to answer when I'm asked these types of questions. There's so many to choose from and out of a year, there's a lot to go through! I would say one of my favourite moments this year was when my family and I went to celebrate a family friend's birthday on a beautiful island. We were so lucky and got to enjoy the weekend and stay in these super cute cabins. We had been on this island before but only on day trips, which is great and all but personally, I much prefer being able to stay there overnight. The reason why this was one of my favourite moments is not only because I had a really fun time, but my head pain was so low the entire weekend (my constant head pain has never been this low for that long in 3 years). If you're new to my blog or don't know about NDPH (new daily persistent headache), it's a condition that I developed when I was 16 that I've written about a lot on my blog here. Put very short, it means that I live with constant pain in my head (literally 24/7) that fluctuates between 4 and 9 on a pain scale but has never stopped since the day it started in June(ish) 2015. So for me, having an entire weekend with only subtle discomfort rather than sharp pain is my favourite memory of 2018. ❤︎ Tenneil from Like Neon Love. ❤︎ Elizabeth from "Ice Cream" whispers Clara. ❤︎ Charlotte from Charlotte's Picks. ❤︎ Lisa from Lisa Autumn. ❤︎ Kate from Kate Loves. 1. What aspects of your life do you like/ enjoy at this point in time? 2. Are you a bath or a shower person? 3. What are your most loved perfumes or body mists? 4. What is something random your friends and family associate you with? For example, my friends say I always have the mintiest gum and pee a lot! 5. Do you have a favourite beauty product? 6. Apart from blogging, what is something that really interests you? 7. Do you have siblings? If so, how many and what's your relationship with them like? 9. How often do you clean your makeup brushes? 11. What are your favourite posts to read and write? If you end up doing this on your blog please leave a link to your post as I'd love to read them!